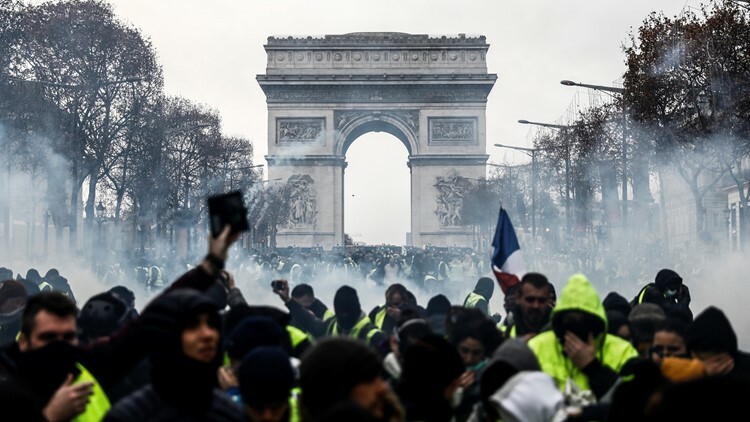 Protesters wearing yellow vests (gilets jaunes) demonstrate against rising costs of living they blame on high taxes near the Arc de Triomphe on the Champs-Elysees avenue in Paris, on December 8, 2018. An estimated 125,000 people demonstrated around France while 10,000 took their anger to the streets of Paris. 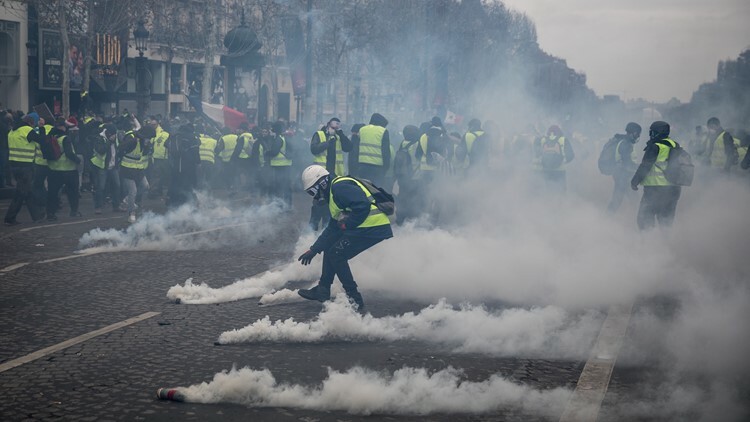 Protesters throw a tear gas canister back at the police during the 'yellow vests' demonstration near the Arc de Triomphe on December 8, 2018 in Paris France.